Continuing our series of election reports, we are pleased to welcome the following pre-election report on this Sunday’s historic Tunisian elections from Professor Jason Brownlee of the University of Texas, Austin, the author of Authoritarianism in an Age of Democratization. Brownlee is currently co-authoring, with Andrew Reynolds and Tarek Masoud, a book that connects the Arab Spring to scholarship on revolutions, transitions from authoritarianism, and constitutional design. who started casting ballots in Europe, the Americas, and the Middle East on Thursday. In their campaign members of Ennahda have gone to great lengths to convey their commitment to democracy. (Alternatively, one could say the party’s campaign reflects the group’s preexisting commitment to democracy). Official statements and campaign flyers in Tunis suggest Ennahda is the only party to place a woman (Dr. Souad Abderrahim, who does not wear the head scarf) at the top of one of its district level lists. Abdel Rahim’s spot could be interpreted as a token gesture, except that it meshes with a broader program based on transparency, non-violence, and rotation of power over the long term. As Said Ferjani, a member of the party’s political bureau explained to me at Ennahda headquarters, the group realizes it enjoys widespread popularity now , but this will not always be the case. Hence Ennahda’s stated goal is to help build a system that will be equitable and competitive over successive rounds, institutionalizing both uncertainty and fairness for the long haul. Ennahda’s interest in establishing a stable playing field for future elections may help explain why the group embraces international observers from the Carter Center and the EU, and why it rejected claims from some Tunisian politicians that election monitoring infringes on national sovereignty. Tunisian leftists and liberals express skepticism about Ennahda’s long-term vision, as well as frustration over their own splintered field. But they are quick to point out the vast—and, for their country, salutary—differences between Tunisia and Ennahda on one hand, and Egypt and its Islamic movements, on the other. In contrast to Egypt, so far the only other Arab society this year to topple an autocrat without foreign intervention, Tunisians shattered the hold of the former ruling party and the security apparatus. Whereas Egyptian protesters labor beneath (and increasingly against) the supervision of their country’s top brass– Tunisian oppositionists have directed the transition process since late February—when the Kasbah 2 uprising ejected Ben Ali’s final prime minister. In addition, despite some pre-electoral anxiety among Tunisian Islamists and liberals alike, the programmatic differences among the top competitors for votes this weekend appear to be much narrower, and the space for common ground much broader, than what Egyptians have witnessed among their political forces of late. Beyond the Middle East, in a broader comparative perspective, Tunisia’s medium-size population, socio-economic development level (over $4000/capita in 2011 dollars), and civilian-led transition offer a promising example for meaningful democratic transition during this and subsequent years. Sunday’s election, the vote count, and the composition of the National Constituent Assembly could very well represent a milestone, not just for the Arab Spring but for global hopes of reversing a democratic recession Tunisians kicked off a year of contentious politics, from the tent city of Tahrir Square to the encampments of “Occupy Wall Street.” Now they stand poised to pioneer the way from revolution to representation. The author thanks Laryssa Chomiak, Director of the Centre d’études maghrébines à Tunis , for providing incisive comments on an earlier draft of this essay. Easterbrook corrects 2 out of 3 errors but does not acknowledge the source: is this just standard practice in the world of paid journalism? Thank you, Haifa, for that correction. An important clarification on the electoral rules. 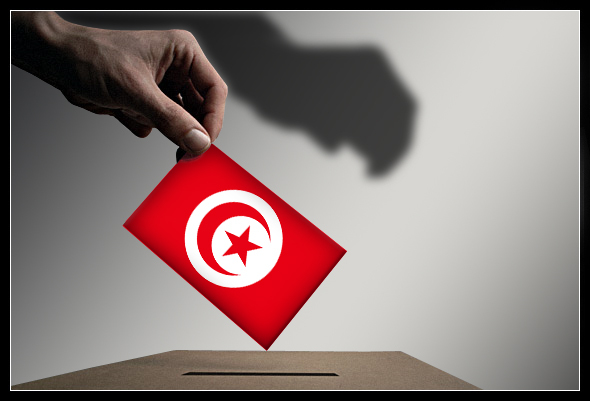 Although Ennahda is the frontrunner, and its leaders agreed to the electoral system when it was formulated, less popular parties are set to benefit. The remainders system (Hare quota) is expected to deflate Ennahda’s representation in the NCA and expand the presence of smaller parties. As a highly respected Tunisian political scientist put it to me: Depending on turnout, Ennahda’s share of seats could be 10%-20% less than its vote share. More in a future post. Jason, thanks for the post. In a later comment, Jason refers to the “remainders system (Hare quota)” and suggests a system that is very favorable to small parties. The first statement I quoted implies that only those parties that obtain a Hare quota (1/M of the district votes, where M is the district magnitude) would be eligible to win a seat in the district. 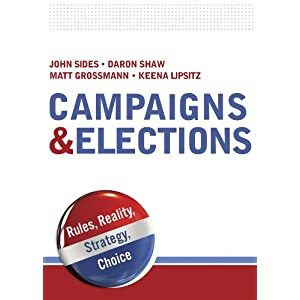 However, the later comment, especially its reference to the possibility of the largest party having a seat share substantially less than its vote share, implies that obtaining a quota is not a prerequisite for winning a remainder seat. That is, that parties are eligible to participate in seat allocation even if they have less than 1/M votes (i.e. did not win a seat by quota). In the latter scenario, a Hare quota is obviously not a threshold. The latter scenario–all parties eligible to be considered under largest-remainder allocation–is indeed very favorable to small parties. However, even if this is the system in use, it would be really surprising if the largest party were to emerge as under-represented as the Tunisian political scientist referenced in Jason’s comment implies.